This is a nice example. It has been totally stripped down and rebuilt after each part has been cleaned and polished. 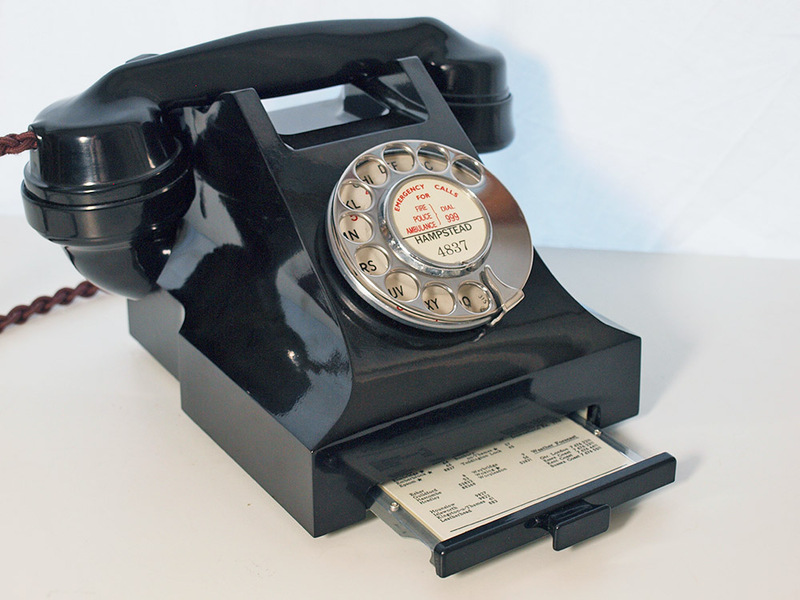 The dial has also been stripped down and the contacts cleaned and set up correctly. 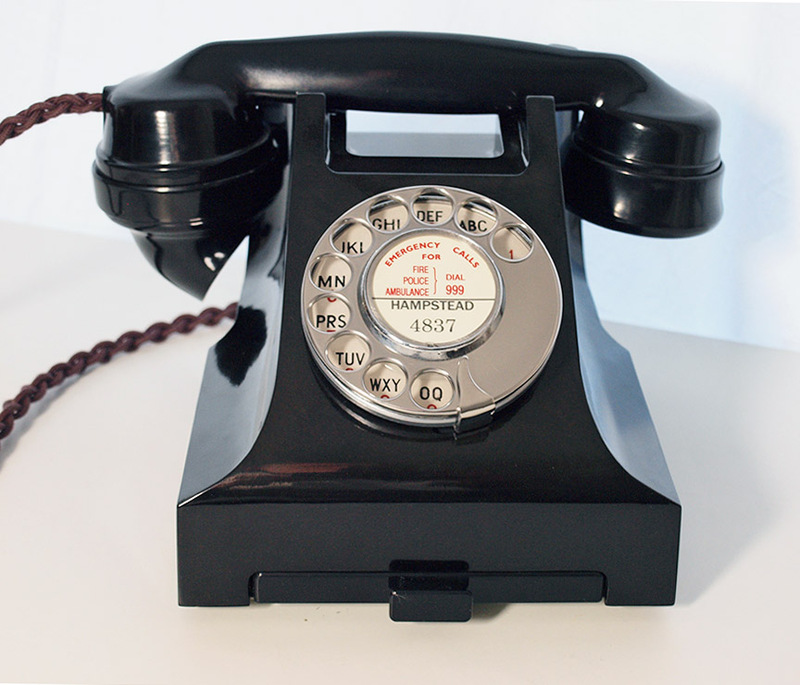 The dial has also been set to the correct speed to allow it to work perfectly on both BT and cable networks and tested on a special line simulator and our own BT telephone line. 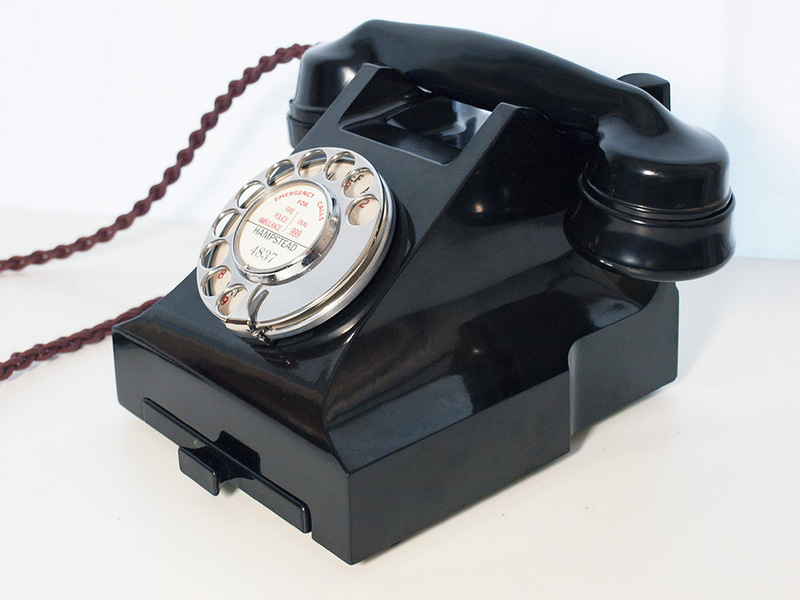 The handset is marked 1937 and retaians the early sleeved switch hooks. It has a genuine GPO No12 all metal dial with stainless steel finger wheel. 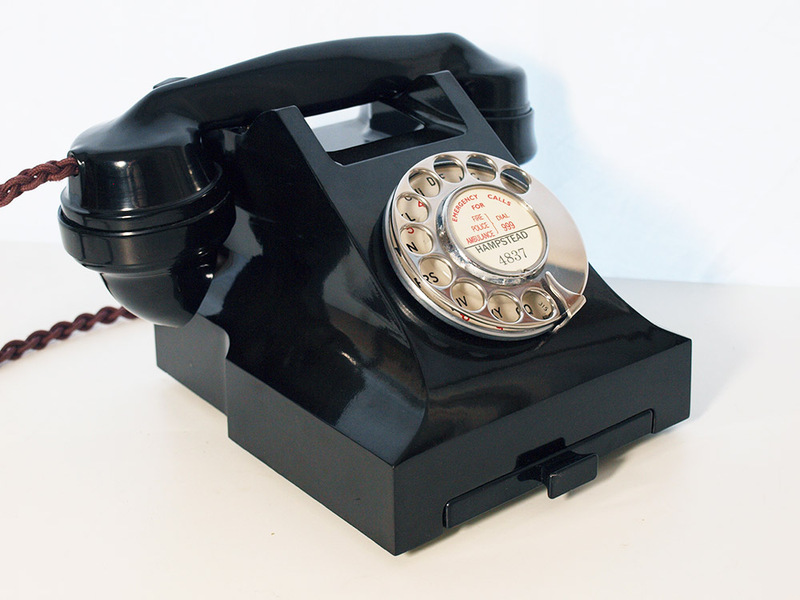 It has been fitted with a very best quality hand plaited British manufactured braided handset cord, a GPO specification round plastic line in cord and the best electronic microphone available ensuring modern sound quality. As you can see it is a very fine example. I can make a dial label with your information at no extra charge.